Finally, test a low resolution render in Mental Ray. 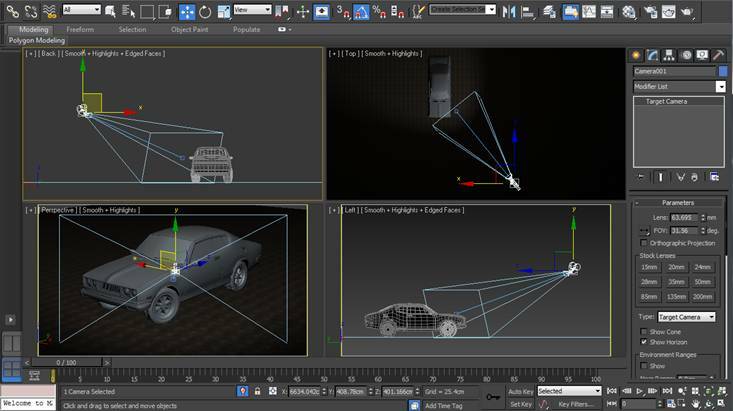 Creating a 3ds Max scene with lights and cameras is very easy. That is a brief description on this tutorial. 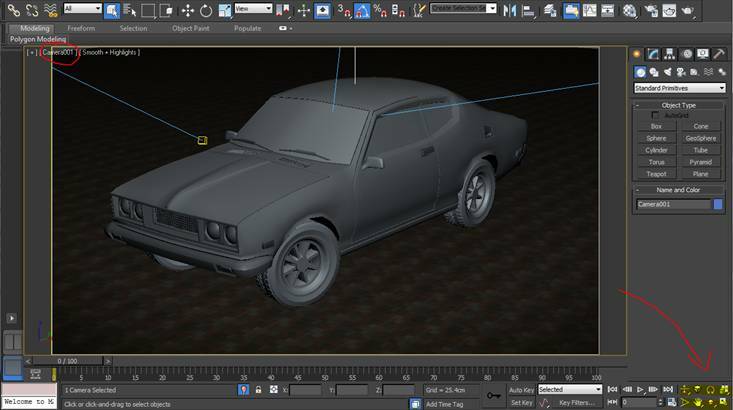 Watch the video and written tutorial below for more detailed instructions. 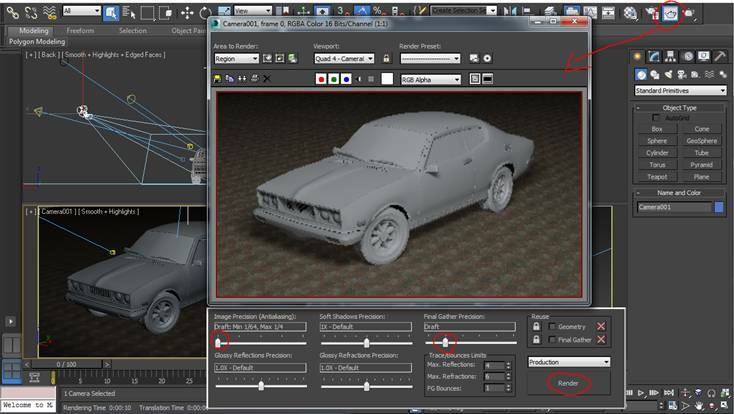 Start 3ds Max, and setup Mental Ray. 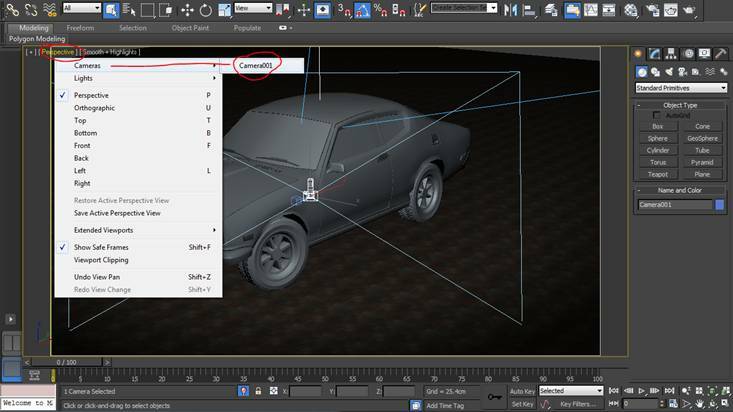 On the menu, go to Rendering / Render Setup. 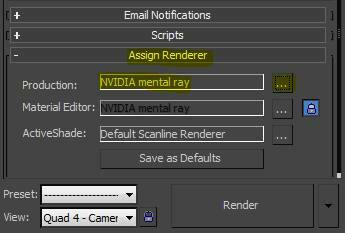 Go to the Assign Renderer tab, and change to Mental Ray. There are many different scene environments you can make, but I will choose the two plane objects below. (the top one is inverted). 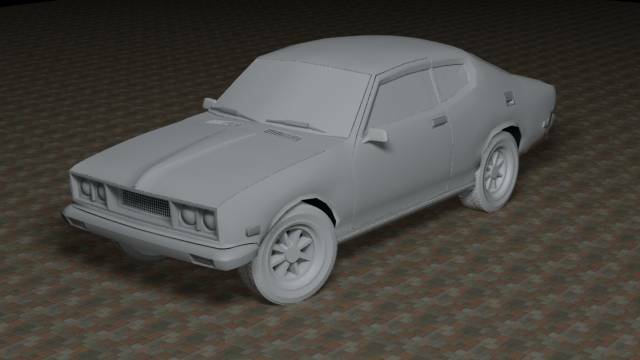 This is simple, but works well for the rendering of this model. 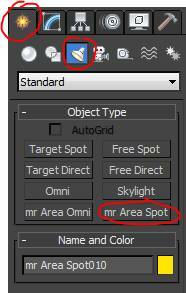 Create at least 2 or more lights (I’m using mr Area Spot lights). 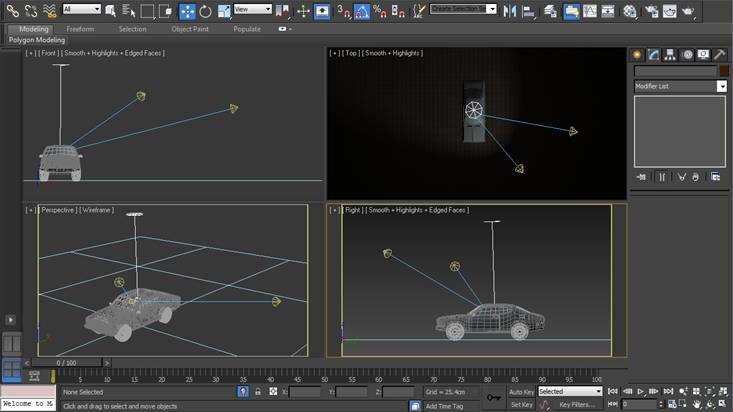 The default lights will turn off automatically, and any part of the scene that is not getting light will be dark or black. Adjust the light direction / settings until things look right. Now to put a camera in the scene. Make it a target camera. Use the Select and Move button to adjust the camera. There are three points on the camera to move. 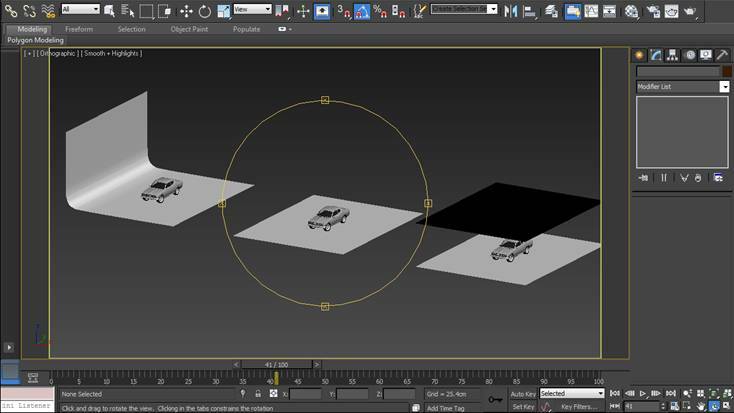 Move the camera in the Perspectives viewport like the bottom left shows. You don’t need a camera to render, but it locks into its own viewport. Right click Perspectives as you see below. 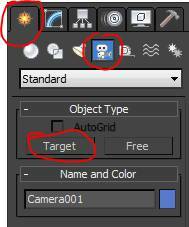 In the submenu, go to Cameras / Camera001. Now that you are in the Camera001 view, make adjustments until the object is angled and centered where you want it. Now test a render in Mental Ray. Put settings to draft to speed up the rendering. There are no materials applied yet, but the lighting and shadows look good so far. 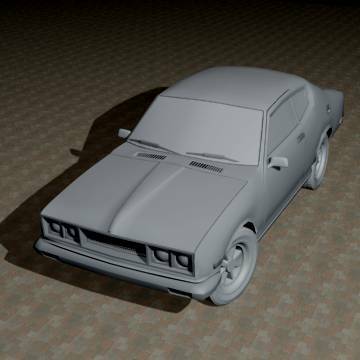 Here is a render at medium image precision. Note that the model’s objects have no TurboSmooth on. This is to speed up the rendering greatly. We just want to see the highlights and shadows. You may have to adjust your light settings and re-render until it looks right. In the next tutorial you will learn how to apply Mental Ray materials to the model and create a near photo-realistic rendered image.